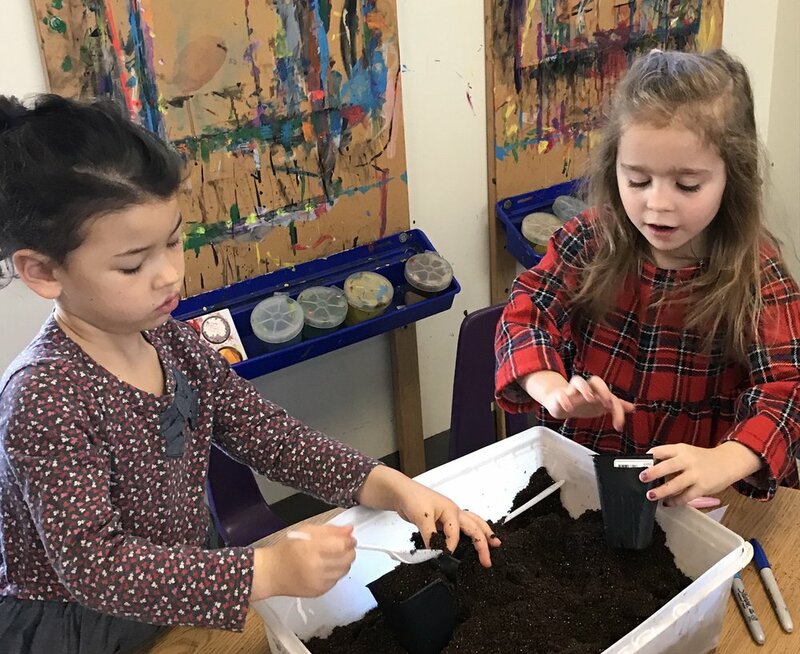 The seed to table cycle has begun in the kindergarten. Children planted seeds this week. Think spring! That's when the children will plant the seedlings outside in the garden.